Thank you for the beautiful card and heart-felt wishes. May you and yours, and all the wonderful staff at BRI also enjoy a wondeful, new year filled with ALL good. 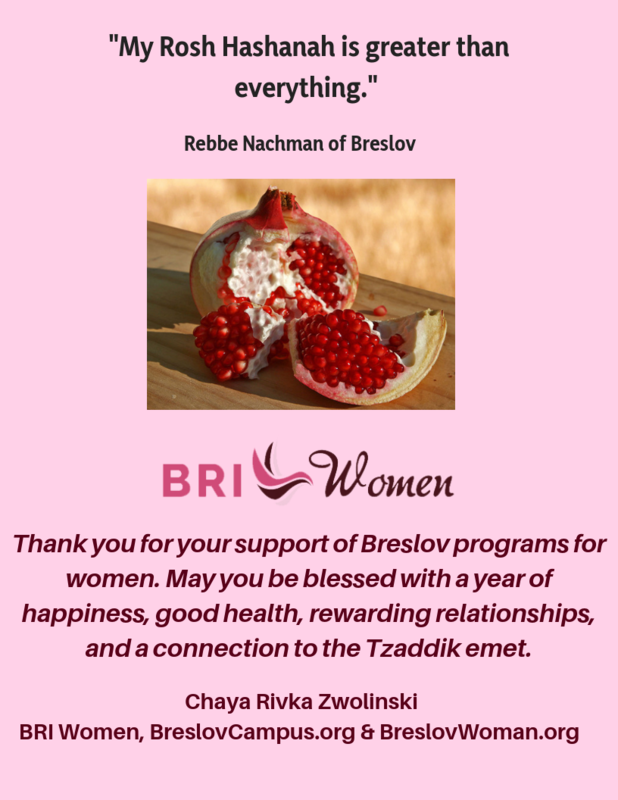 I wish to extend a deep HaKaras HaTov for all you have done for me, personally, and my husband in the way of learning Rabbi Nachman’s teachings, and helping us to get closer to the True Tzaddik. Our lives are indescribably enriched as a result.